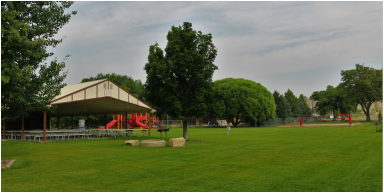 The Emery County Rec Center is the hub of the Joe's Valley Fest, and for good reason: it's a great spot to camp, with ample space for pitching tents and plenty of spots to park your #vanlife rigs! Camping here is free during the Festival. Situated perfectly between the beautiful Manti LaSal mountains and the world famous San Rafael Swell, San Rafael Bed & Breakfast allows you to experience all of what Castle Country has to offer. It is in the heart of Castle Dale and just blocks from the festival. Whether you're traveling with family or alone, Village Inn Motels has the perfect rooms for your needs. Each of our rooms comes with a variety of updated amenities. It is in the heart of Castle Dale and just one block from the festival. There are several BLM camping options in the Right Fork and New Joe's. In the Right Fork, they are both on the left when traveling up canyon. In New Joe's, there are a few campgrounds on either side of the road. Look for established areas and follow BLM camping guidelines. *Camping is not allowed in the Left Fork past the National Forest entrance.